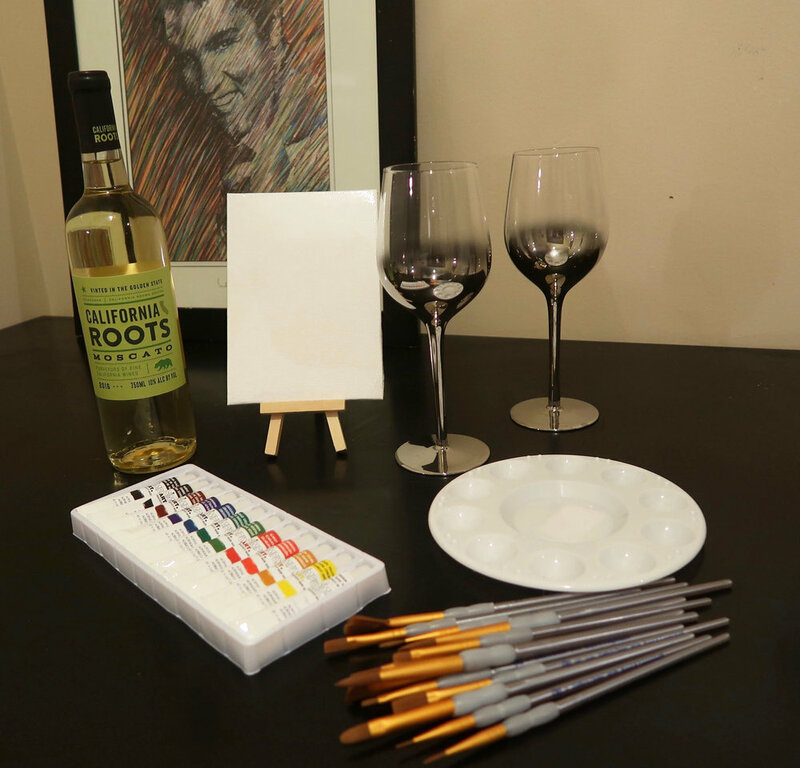 Paint nights have become so popular these days, with the appeal of having a few drinks, learning to paint and spending a fun night with your friends. But when tickets cost up to $50, not including drinks, the whole thing can get a little pricey. So why not throw a paint party at home? You’ll cut the cost in half. Plus you’ll be able to drink as much as you want, and you won’t have to worry about disturbing the people sitting next to you. Pro Tip: If you’re planning ahead, shop on Amazon, where you can get a pack of eight 12x12 canvases for only $24.99. If you don’t have that kind of time, you can get what you need at Joann’s or Michaels, but make sure to look for coupons online. Step one: Get an idea of what to paint off the internet. You can literally paint anything if you have an outline to refer to (you don’t have to be a pro!). Pinterest has great DIY paintings you can mimic. Print a few color copies of the picture to pin up around the room for reference, and make a black-and-white copy for each guest. Step two: Give each guest a sheet of graphite transfer paper the size of the canvas. Lay it down on the canvas with the black-and-white copy of the picture on top. Using a pencil, trace the image on the canvas. When you remove the graphite paper, you’ll have an outline of the image on the canvas. Step three: Using the outline, paint away, leaving about a few minutes for each layer to dry.